Julian Stubbs, who is English but lives in Stockholm, Sweden, is an international brand strategist and has worked with brand and identity projects for clients such as Stockholm, where he was involved with creating the positioning of the city as The Capital of Scandinavia. His book Wish You Were Here documents this work as well as the issues involved in major place branding projects. Julian headed the team that worked with Technicolor, the Hollywood movie company, where he helped develop a completely new visual identity for this world famous brand. Julian has also worked with the Nobel Peace Prize Concert, which involved both the development of a new identity as well as digital and social media work. Julian is also one of the founders of UP THERE, EVERYWHERE the global cloud based brand and communications consultancy, which today has over 160 people. UP was founded in Stockholm and New York in 2011. Julian has worked extensively with destination and place marketing, life sciences, healthcare, and larger corporate clients. A consultant, writer, and strategist. Julian spends a good deal of his time traveling in his work. In a typical year, he travels about 120 days working with clients in North America and Europe. 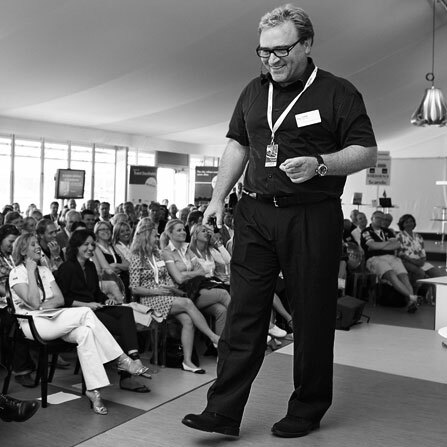 In addition to client branding work, Julian lectures and gives seminars at a number of academic and industry venues each year, and contributes to numerous publications, as well as several industry blogs. Having jumped the fence from agency to the client side more than once, he is a firm advocate of the experience. Julian Stubbs offers his clients over 20 years of marketing and branding experience in what he terms “high involvement” areas. Besides brand planning and marketing strategy, Julian’s passions include first and foremost his family, the family dog London, reading (mostly history) as well as following his beloved Liverpool Football Club (YNWA).